In this Tutorial we will teach you How to Install Cyanogenmod 13 Android 6.0 ROM on Samsung Galaxy Tab 2 P3100/P3110 using team win recovery project custom recovery. Google Release Android 7.0 N Developer Preview for Nexus device and We are upgrading our TAB in Android 6.0 [6.0.1] Marshmallow custom ROM, hehe. In upcoming months we can use the Android N custom ROM for Tab 2. Because Cyanogenmod 14 upcoming in couple of months. So, Now We are back to our topic. Before updating your device in Marshmallow OS you have to Install Custom Recovery Like TWRP/CWM. 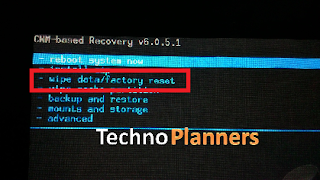 We recommended to use TWRP recovery for Installing this ROM. If you have pre-installed Recovery on your device you have to skip this step and process to the next step. 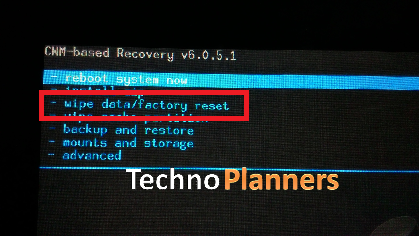 Otherwise You can check out our tutorial about How to Flash TWRP Recovery for Galaxy Tab 2 P3100/P3100. Before Installing Custom ROM/ Ubuntu OS on any Android device. We recommended to make a backup of your stock ROM. Because, If the device not stable with Custom ROM or other issue's. You can revert your device in old stage easily with this Backup. Boot into Recovery by Pressing Volume UP + Power Button at the same time. Click on Backup Button and Swipe left to right on swipe button. 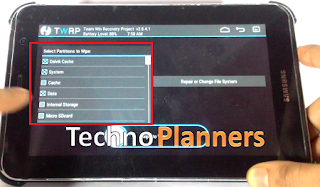 Once it Done, Save TWRP folder on your PC/ SD-Card. Boot in recovery mode by using Volume Up + Power Key. Select backup and restore then select the backup to /SD card. Once it's done, Save the CWM folder on your PC/ SD-Card. Download ROM and GApps from end of post link given. Connect the device with PC, and copy both zip files in your device Internal/SD-Card storage. Reboot into Recovery using Volume UP + Power button. Tap on Wipe and Check the Dalvik Cache, System and Data option and swipe to wipe. Tap on Install and flash ROM and GApps on the device. Once flash done successfully, Select Wipe and factory reset your device. Select Wipe Cache Partition then select Yes - Wipe Cache. Now Go to Advance, then select Wipe dalvik cache, then select Yes - Wipe dalvik cache. Select Wipe data/ Factory reset, then select Yes - Wipe all user data. Similarly, Install GApps on your device. Go back to main menu list and select Wipe data/ Factory reset, then select Yes - Wipe all user data. Once it's done, Select Reboot system now then selects Yes - fix root. mengapa setelah upgrade android 6.0 dari TWRP, tab saya jadi sering auto boot sendiri ?